Tickets to the 21st Annual Okanagan Fest of Ale, one of the Pacific Northwest’s largest and longest running Consumer Craft Beer and Cider Tasting Events are now on sale. 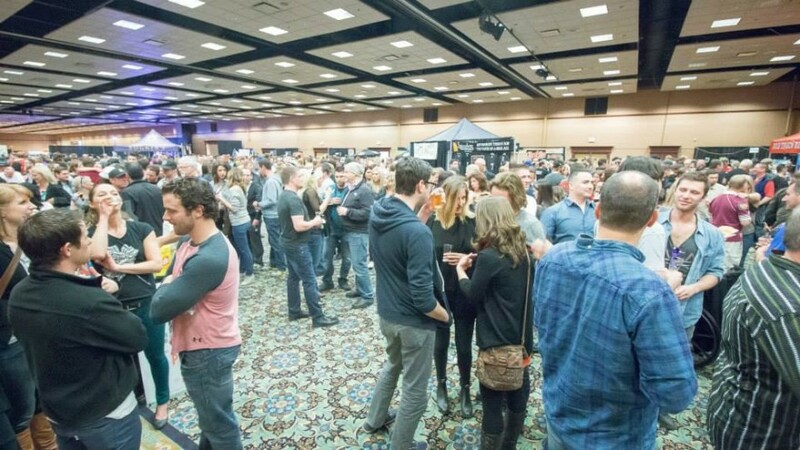 The 2016 Fest of Ale takes place in the waterfront city of Penticton BC April 8th & 9th, 2016. Best known for its orchards, lakes, and summertime fun, Penticton also has a growing reputation as a craft beer destination. 3 innovative craft breweries and a popular brewpub can be found within the city itself, with an increasing number of craft cideries and breweries throughout the region. New to the festival is a 2-day weekend pass. “Over the last 3 years the number of craft brewers participating at the festival has nearly doubled, as has the number of samples available for tasting,” says Fest of Ale Society Vice President and Marketing Director, John Devitt. Priced at only $47, the 2-day pass represents a savings of 20% over two single day admissions. As a stand alone ticket the 2-day weekend pass is perfect for the those interested in sampling the wide variety of craft beer and cider available at the event in a responsible way at an affordable rate; and for those interested in a weekend get away is offered in conjunction with ticket and accommodation packages. Based on the success of last year and early interest this year, organizers are expecting a full house and encourage you to buy your tickets soon as not to miss your chance to Sip, Savour and Celebrate the best in craft beer at the 2016 Okanagan Fest of Ale!